VR gamers can look forward to smashing, burning, and blasting some Nazis this summer. Amidst the fanfare around early access of The Elder Scroll: Blades, Bethesda quietly slipped out the launch date for their upcoming VR game, Wolfenstein: Cyberpilot. The game is set an alternate history in Nazi-occupied Paris, 20 years after the events of Wolfenstein: The New Colussus. 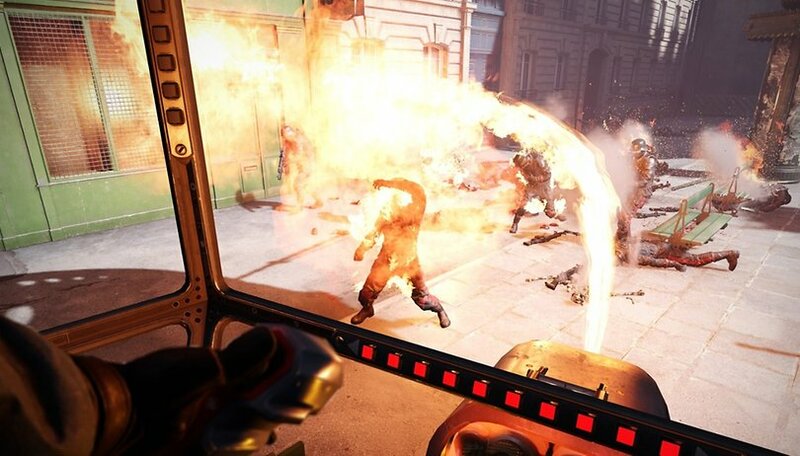 Wolfenstein: Cyberpilot casts you in the role of a hacker who takes control of futuristic Nazi war machines to turn them against their goose-stepping former masters and aid the French resistance. Bethesda has set the launch date for July 26 on both the PlayStation Store for PSVR and on Steam. HTC Vive support is a given, and SteamVR should allow Oculus Rift and Windows Mixed Reality users to get in on the fun too. The game will cost $20, or £14.99 in the UK. PlayStation VR owners who pre-order will receive a Wolfenstein: Cyberpilot official static theme, but we're not aware of any such bonuses for Steam. What apps and games will be on Oculus Quest? Are you looking forward to Wolfenstein: Cyberpilot? What did you think of Bethesda's revival of the classic series?